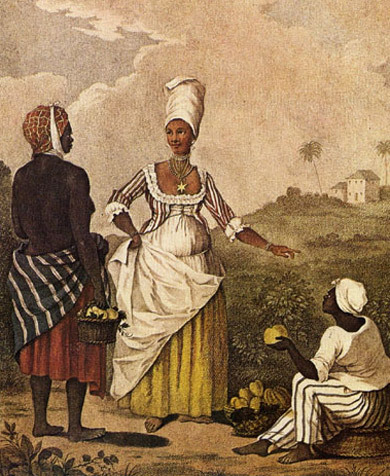 The 18th Century mulatto . At least three-fourths of all people defined as American blacks have some white ancestry, and some estimates run well above 90 percent. The blacks with no white lineage are mainly in the more isolated, rural areas of the Deep South, notably in South Carolina. As many as one-fourth of all American blacks have some American Indian ancestry, and a great many people classed as Indians have some black background. Thus, the color spectrum among the black population ranges from ebony to lighter than most whites, and the other racial traits show a similar range of variation.